Prairieland Quilts and Sheila’s Sunny Bloomers will be trading places during the month of January, 2017. 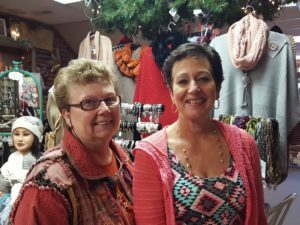 Quilt shop owner Suzanne Bruns and Flower shop owner Sheila Levitt have both decide that their need for space has changed and came to an agreement to trade places. Prairieland Quilts will be having an inventory reduction sale that will last till they close for the holidays. Fabric, notions and sewing machines will be on sale to help downsize before the move. Suzanne & Sheila both hope their customers will be patient during the move. “Since the Quilt Shop is closed the month of January, this will be an opportune time to make the move” , said Suzanne.